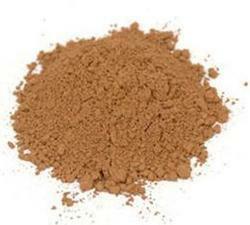 Low concentration of iron in our Insulating Refractory Castables makes them perfect for various industries. 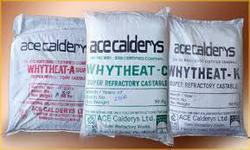 We offer Insulating Refractory Castables at very affordable prices within the specified time frame. 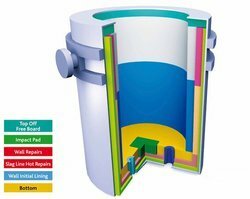 We have carved a niche as one of the moving ahead Insulating Refractory Castables manufacturers and Suppliers based in Gujarat,India. We, Imperia World Trade is a leading company of exporter and supplier of Abrasive & Blasting materials stuff in India. 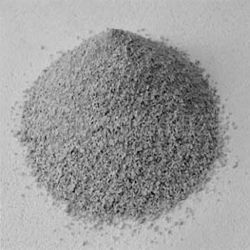 The company has gained a notable name as a producer, exporter, and supplier of a wide range of Brown Aluminum Oxide, grinders and blasting materials which find several applications in a different manufacturing industry. Brown Fused Alumina is used inside the obstinate business for the assembling of high alumina terminated and solid stubborn items like blocks and precast shapes. To acquire a smooth surface completion when speculation throwing the foundry business fuses this material inside the procedure. 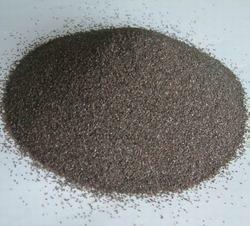 Inside the rough business Brown Fused Alumina is a profitable expansion to items like grating papers. A Search Of Whytheat Castable? Then Let Me Tell You That You Are At The Correct Place. Whytheat Castable Are Available In A Different Category As Per Requirement Such As A, C & K.
All Contain The Special High-Purity, High Alumina Refractory Binder. Typical Properties Of A, K, And C, Including Data On Strength, Conductivity, And Chemical Composition Is Used For A Specific Service Temperature And An Environment. A Is A High Purity, High Alumina Castable Of 90% With Excellent Property Hence, It Is Used For Service Temperatures Up To 1750°C And Can Withstand Attack From Process Gas Atmospheres Comprising Of Carbon Monoxide And Hydrogen. K, Which Has An Alumina Content Of 60%, Can Be Used For Service Temperatures Up To 1600°C Hence, This Castable Also Has A Low Iron Content And Can Maintain Carbon Monoxide Attack. C Is About 50% Of Alumina Which Serves As A Usual Purpose With High-Temperature Up To 1500°C. Hope You Get A Brief Understanding Of What You Want. We, Imperial World Trade Policy Product Line Of Refractory Plastics, Rams And Vibrates Includes Trowel-Able, Sprayed, Pumped And Gunned Products Which Are Used To Create Different And Firm Establishment. They Include Several Industrial Markets, Including Iron, Steel, Degassing, Coke And Foundry Markets. These Results Cover A Wide Variety Of Applications As Well. Consult Our Product For The Proper Application And Method Of Installation. Our Company Holds Expertise In Manufacturing, Exporting And Supplying Better Grade Plastic Refractory Castable To Our Precious Customers. Our Advanced Plastic Refractory Castable Is Widely Appreciated By Our Customers, Which Are Situated All Across The World. We Are Known For Its Best Quality, Clients Can Avail This Plastic Refractory Castable At Industry Commencing Prices From Us. When It Was Determined That The Increase Of Highly Reactive Volatilized Or Fume Silica To A Castable Would Dramatically Change The Physical Characteristics, A New Family Of Castables Resulted. 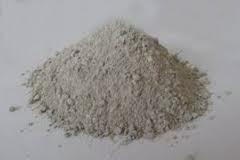 These Dense Durable Refractory Castables, Based On The Use Of Low Calcium Aluminate Cement Content, Have Replaced Many Conventional Castables, Plastics, Ramming And Gunning Mixes And Are Used In Many Applications That Require High Refractoriness, Corrosion Resistance, And Abrasion Resistance. These Castables Maintain A Stable Composition With Low Porosity And Have High-Temperature Strength Ultimately The Low And Moderate Temperature Range. 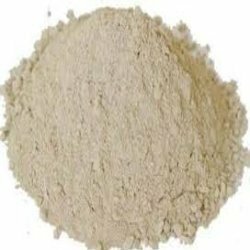 Today Practically Every Refractory Castable Manufacturer Has A Complete Line Of These Low Cement Castables, Ultra-Low Cement, And No Cement Castables. These Low Cement-Type Castables Discover Many Applications Through Industry Including The Steel, Iron And Steel Foundries, Aluminum Furnaces And Other Non-Ferrous Metals, Rotary Kilns, Incinerators And Also For Making Precast Shapes. The Energy Which Is Developed In These Castables Is Often Equal To Or Greater Than Fired Products. We, Imperial World Trade Refractories continues to be a leading in the elevation of next generation refractory elements while implementing excellent buyer service & the greatest variety of refractories in the world. 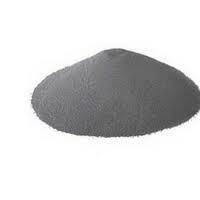 Insulating castable refers to a particular family of refractory castable. It is used as a secondary lining in process of industries and the contact layer in the petrochemical production. Insulating castable is intended to illustrate low density and low thermal conductivity so to keep heat energy and to decrease fossil power consumption. Our industry consists one of the most advanced types of equipment which are essential to boost high-tech manufacturing setup. 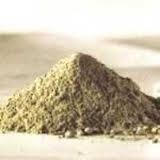 Insulating castable normally mixes lightweight aggregate such as fireclay, expanded clay, bubble alumina, reclaimed element, extended chamotte and perlite or vermiculite. 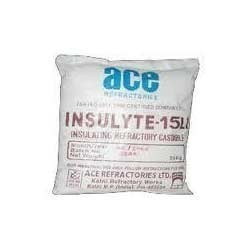 Insulating castable is implemented by casting or dry gunning. 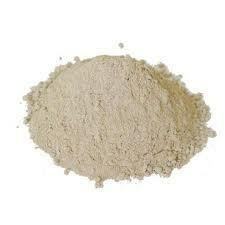 Due to our in-depth knowledge of this domain, we have been able to trade and export best quality Conventional Castable. To ensure high standards of quality, these products are procured from trusted, reliable, certified and well-known vendors of the industry. Owing to their low porosity, longer shelf life and accurate composition, these products are highly demanded in the market. Along With The Basic Material Such As Bricks, Cement, Refractory Products Are Also Essential To Build Up A Successful Industry. We Are Manufacturer And Suppliers Of High Quality Whytheat A 90% Alumina Dense Castable With Very Low Amount Of Iron And Silica. These Are Commonly Used To Form Healthy Joints And Are Applied Widely In Building Material, Metallurgy, And Petrochemical Industries. We Are Manufacturing Product With Only High Quality, Pure, High-Density Castable Suitable For A High Temperature Of 1750 Degree Celsius Structure. 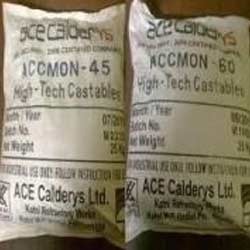 These Dense Castable Are Available In Multiple Grades Suitable For A Particular Range Of Operational Conditions. Our Refractory Castable Are Hydraulic Setting And Can Be Cast Or Molded To Any Shape. All Of These Castable Can Also Be Modified For Working Applications. Factory Service Can Pre-Cast And Fire Parts And Shapes Per Customer Supplied Drawings As Well. 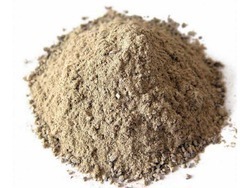 Looking for Cement Castable ?